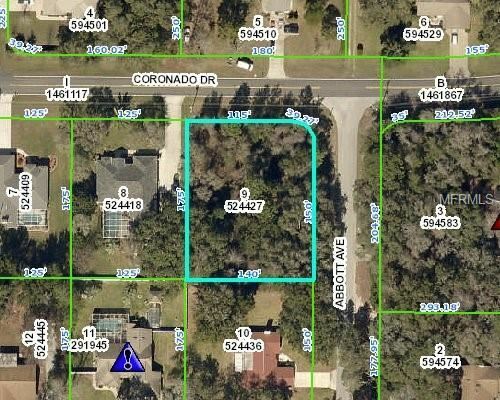 Fantastic lot in desirable area of Spring Hill Florida. The is a wonderful lot to build your dream home. 20 Minutes from the Weeki Wachee Springs attraction. Less than one hour from Tampa Airport. Two hours from Orlando attractions. From Mariner Blvd, East on Spring Hill Drive, Right on Coronado. Lot is on the SW corner of Coronado and Abbott. Look for sign. The approximate monthly Principal & Interest payment for this property would be $182. This payment is based on a 30-year loan at a fixed rate of 4.12 % with a down payment of $3,389. Actual lender interest rates and loan programs may vary.